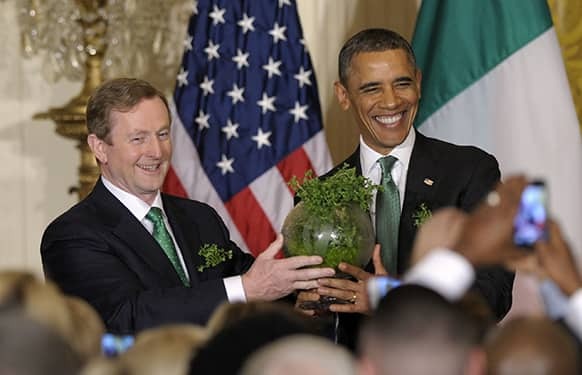 Cherie Blair, center, wife of former British Prime Minister Tony Blair tries her hand at cleaning pulses during her visit to the Rural Distribution Network India (RUDI) center in Surendranagar district, Gujarat. 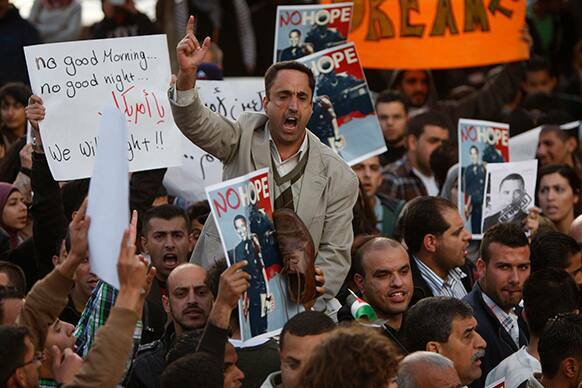 Palestinian chant slogans during a protest against US President Barack Obama`s visit in the West Bank city of Ramallah. 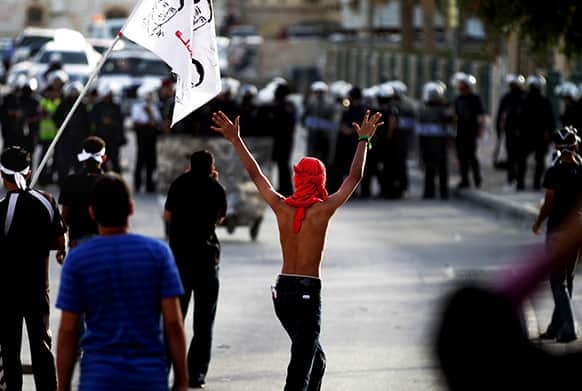 Lindsey Lowe`s parents, Paula, left, and Mark Lowe, and her sister, Lacey, react as they listen to the jury return a guilty verdict for Lindsey during her murder trial in Gallatin, Tenn.
Bahraini anti-government protesters, one carrying a flag with images of a protester killed in earlier unrest, face off against riot police in Bilad al-Qadeem, Bahrain. 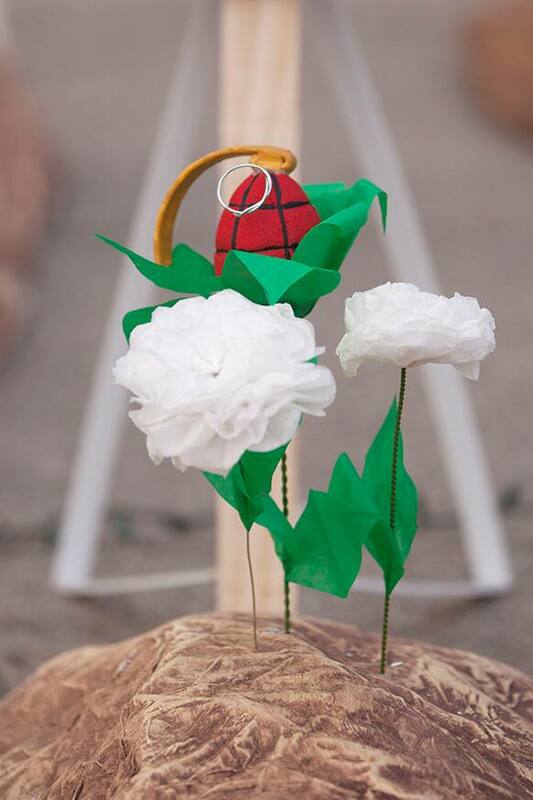 A fake grenade depicted as a flower, sprouting from an imitation gravesite is pictured in front of the US Embassy during a protest by Amnesty International human rights activists, demonstrating in favor of an internationally binding agreement that would regulate the global arms trade, in Mexico. 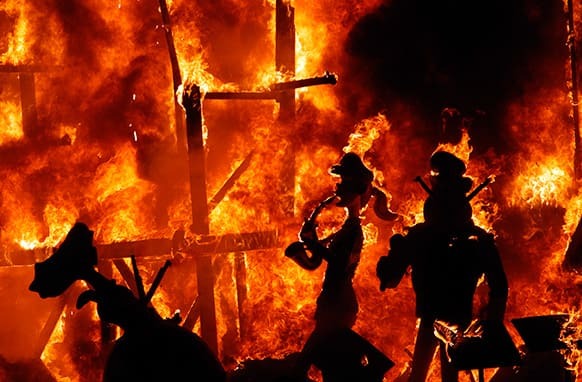 Satirical sculptures are burned during the traditional Fallas Festival, in Valencia, Spain, early Wednesday, March 20, 2013. 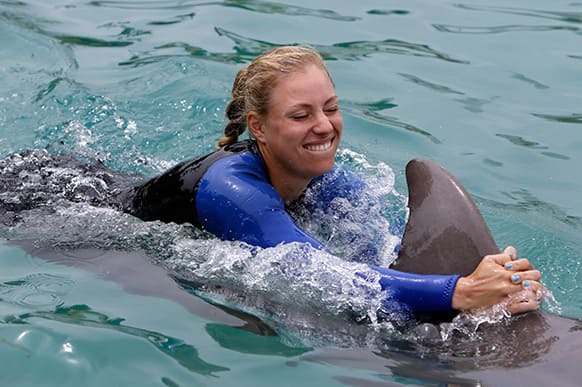 Tennis player Angelique Kerber, of Germany, swims with a dolphin during a photo opportunity, at Miami Seaquarium in Key Biscayne, Fla.
President Barack Obama and Irish Prime Minister Enda Kenny hold up a bowl of Irish shamrocks during a St. Patrick`s Day reception in the East Room of the White House in Washington. 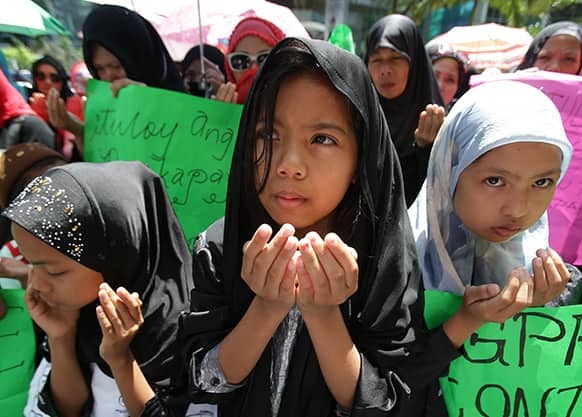 Filipino Muslim children pray during a rally outside the Office of the Presidential Adviser on the Peace Process in suburban Pasig, east of Manila, as they expresses concern for the alleged slow progress of a peace process between the government and a Muslim rebel group. 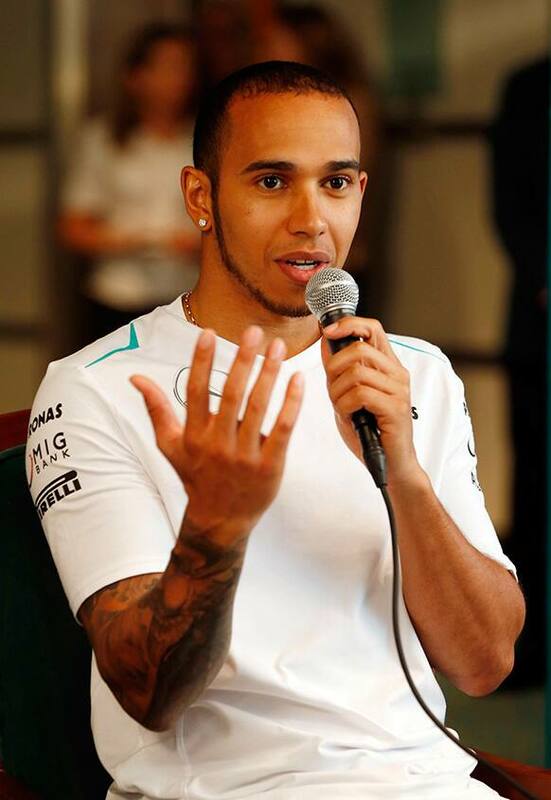 Mercedes driver Lewis Hamilton of Britain speaks during a press conference ahead of Malaysian Formula One Grand Prix in Kuala Lumpur, Malaysia. 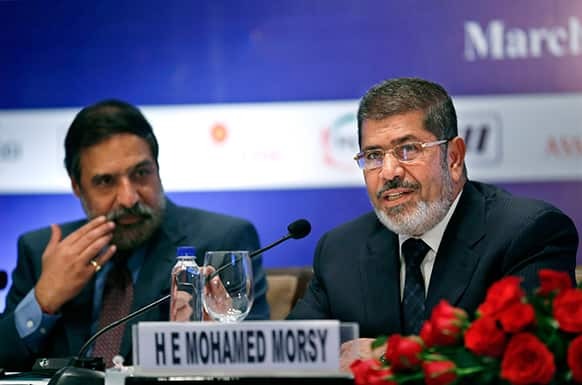 Egyptian President Mohammed Morsi, right, addresses Indian industry leaders, as Indian Minister for Commerce and Industry Anand Sharma listens at a business meeting in New Delhi. 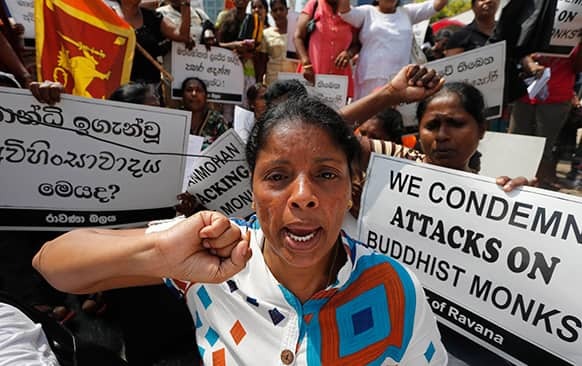 A Sri Lankan woman of a civic group called the Ravana Balaya, or Ravana Force, shouts slogans during a protest outside the Indian High Commission in Colombo. 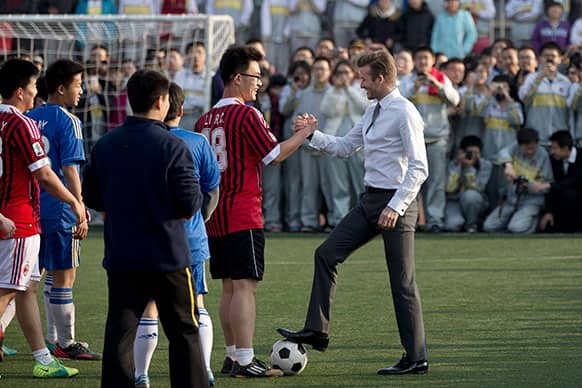 David Beckham, in his suit, shakes hands with students of Beijing`s No. 2 High School after he played soccer with them during an event to promote the sport in China. 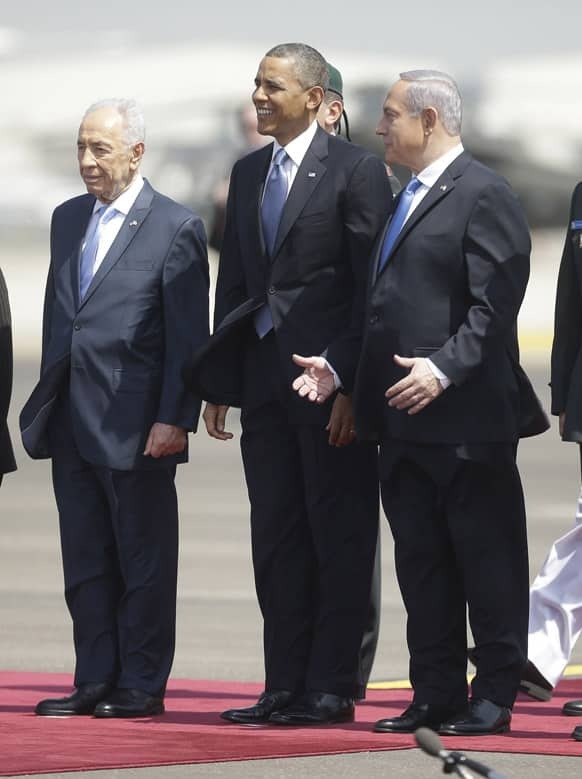 President Barack Obama is greeted by Israeli President Shimon Perez and Israeli Prime Minister Benjamin Netanyahu upon his arrival ceremony at Ben Gurion International Airport in Tel Aviv, Israel. 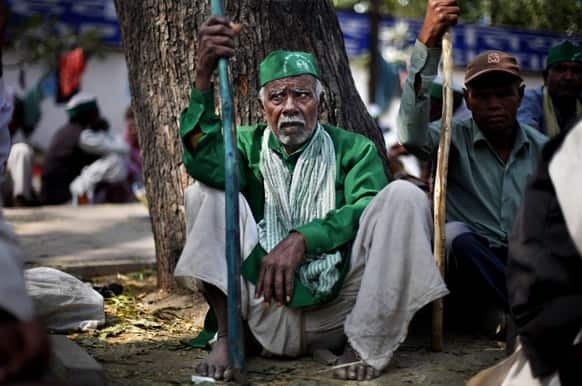 Farmers listen to a speaker, unseen, during a protest near the Parliament in New Delhi. 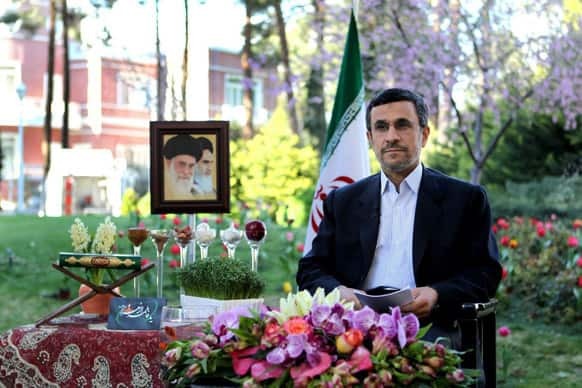 Iranian President Mahmoud Ahmadinejad delivers a speech for the Iranian New Year, Nowruz, in Tehran. 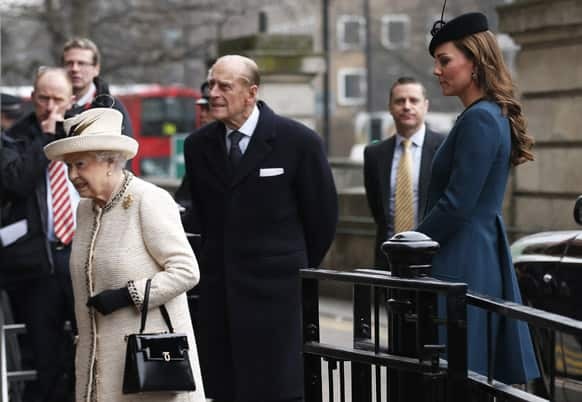 Britain`s Kate, Duchess of Cambridge, right, accompanies Queen Elizabeth II and Prince Philip as they arrive at Baker Street underground station in London for a visit to mark the 150th anniversary of the London Underground. 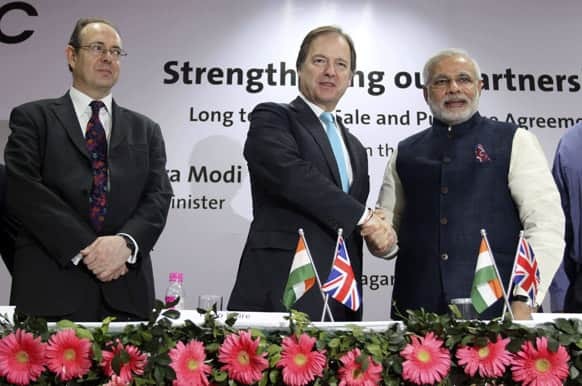 British Minister of State for Foreign and Commonwealth Office Hugo Swire shakes hands with India’s Gujarat state chief minister Narendra Modi at Gandhinagar as British High Commissioner to India James Bevan, left, watches at Gandhinagar in Gujarat. 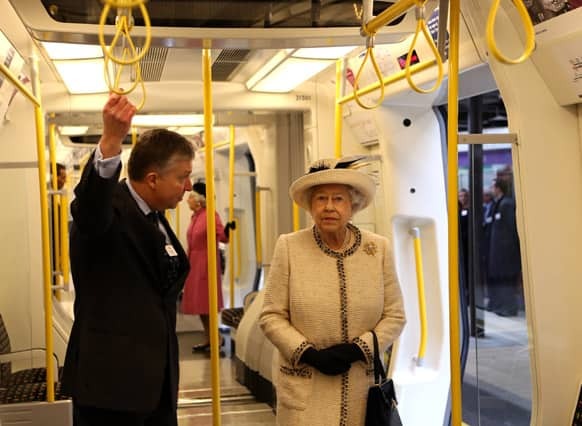 Britain`s Queen Elizabeth II is shown round the carriage of a parked train at Baker Street underground station in London, for a visit to mark the 150th anniversary of the London Underground.